Creating a connected culture of cycling support and confidence throughout the Monadnock Region. “ I ride for my health. I love racing through the woods. I like to be outside as much as possible. I ride to spend time with my family. I feel like I am helping the environment. I simply love to ride. I look forward to spending time riding with friends. My bicycle is my primary mode of transportation. There are a thousand reasons to ride. What is your reason not to? I am here for you and want to hear from you. 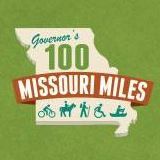 Let’s pave the way for more bicycled miles in our beautiful region.